Your session will expire soon! Yes, keep me signed in. No, sign me out. 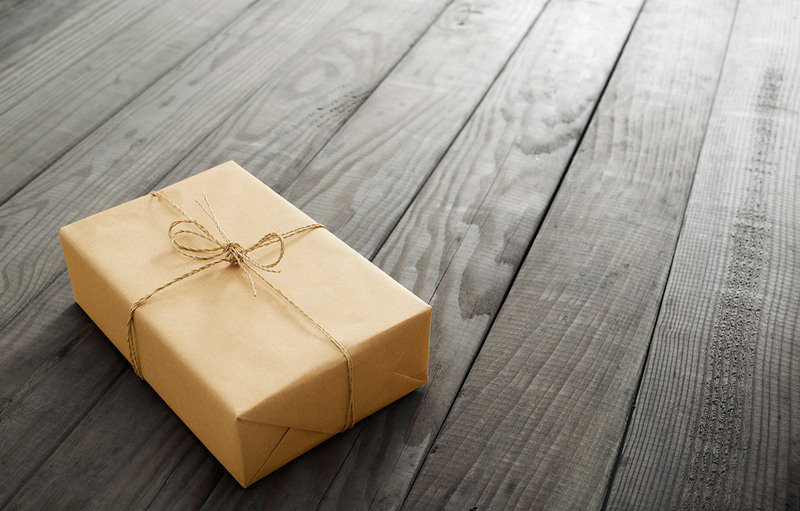 Packing multiple parcels into one box can save you shipping fee! Do you know how consolidation and repacking can help you save more? from China to Malaysia and other destination. When you need a China address, deliver to our warehouse and we pack and ship for you. When you want to save more, we consolidate your purchases and this will reduce your shipping cost. When you want to shop more at different merchants, we store your purchases until you are ready to ship all. Let us ship your purchases to you at lower shipping cost. Manage your purchases and shipments online anytime anywhere. How convenient is that! Pack several purchases from different sellers and ship together in one box. You only pay for one shipping fee! Copyright © Packnpost2u 2018. All rights reserved. Fill in the following to proceed. Verification Code Code not clear? Click Here. I have read and agreed to the Membership Agreement. This is your Membership Agreement. All terms and conditions contained in this Membership Agreement explain Packnpost2u’s obligations to you, your obligations to Packnpost2u, your use of the Packnpost2u website, the use of your Packnpost2u membership account and Packnpost2u services provided to you. Please read these terms and conditions carefully. By registering with Packnpost2u and using Packnpost2u services, you are entering into this legally binding membership agreement with Packnpost2u Sdn Bhd. You acknowledge and agree that you have read and will comply with all the terms and conditions stated in this agreement. “You” and “your” refer to you personally or sender. “Services” refer to all services undertaken by Packnpost2u in connection to receiving your parcels, storage, sorting, checking, repacking, consolidating and delivering to you. “Parcel” ” refers to documents or products you purchased from merchant, delivered to your Packnpost2u China address, to be consolidated and shipped to destination country. “Consignment note” refers to a transport document that shows details of a parcel that have been sent by a consignor or a merchant to the Packnpost2u China address. “Consignment note number” refers to a set of numbers on the consignment note, to be declared by member after signing in to account for purpose of identifying your parcel delivered to Packnpost2u China address. “Courier company name” refers to name of the company that delivers your parcel to Packnpost2u China address, to be declared by member after signing in to account for purpose of identifying your parcel delivered to Packnpost2u China address. “Shipment” refers to one or more parcels being consolidated, assembled and shipped together on the same air waybill to the same address from China to destination country. “Air Waybill” refers to a transport document that shows details of a shipment issued by the international shipper to transport your shipment by air from China to your destination country. “Air Waybill Number” refers to a set of numbers and letters assigned to a shipment on an Air Waybill, which may be used for purpose of tracking the shipment. By checking the box “I have read and agree to the Terms and Conditions” and clicking “Register Now” to register for a Packnpost2u account, you acknowledge that you have read and agree to the Terms and Conditions in this Membership Agreement, which is equivalent to signing a valid hard-copy agreement between you and Packnpost2u Sdn Bhd. If you decline to check the box, you will not be able to register as a member and use any of Packnpost2u services. To register and to use Packnpost2u services, we need you to provide us your personal details such as your name, email address, street address and telephone numbers. You certify that the information you provide us is accurate and that you will update it promptly for any changes at the time of using our services. We reserve the right to cancel any unconfirmed membership account, or a membership account that has been inactive for more than one year period, or if we find you have submitted inaccurate information, or if we determine that your account may be used for any unlawful or fraudulent purposes. You are advised not to register more than one membership account. You may not transfer your Packnpost2u membership account or your account login and password to any other person. You agree to keep your Packnpost2u password confidential, to safeguard it, your computer(s) and mobile device(s) from access by others, and to log out of the website when your session is complete. You are responsible for any use of the Packnpost2u website and your Packnpost2u membership account made under your login and password. If you are aware of any unauthorised use of your Packnpost2u membership account or any security breach such as disclosure or loss of password or theft of your Packnpost2u account information, you should notify Packnpost2u promptly. We will immediately block or deactivate your account. We may allow you to open a new account depending on the circumstances of the security breach. You must be at least 18 years of age to register using this website. By using or viewing this website, you warrant and represent that you are at least 18 years old, you have the right, authority and capacity to enter into this agreement and to abide by all terms and conditions stated in this Membership Agreement, and you are not prohibited by law in using the website. In order to provide quality services to you, we have to collect certain personal information from you, including but not limited to your name, mailing address, email address and telephone numbers. All information you provide us during or after registration of your Packnpost2u membership account may be transferred to, stored in and processed in China, Malaysia, and other destination countries where such transfer, storage and process are necessary to provide you Packnpost2u services. By submitting your personal information and using Packnpost2u services, you consent to the transfer, disclosure, storage and process of all your information in the above mentioned countries. You may not use Packnpost2u website or Packnpost2u services for any unlawful purpose. We reserve the right to terminate or restrict your access to your Packnpost2u membership account and your use of Packnpost2u services if, in our opinion, your use may violate any laws, infringe upon another person’s rights, or breach the terms of this Membership Agreement. You may use the Packnpost2u website and services for your personal use, your family members and your friends. We perform necessary security measures to protect our website and systems from viruses, worms and other malicious content, but we cannot and do not guarantee the complete absence of such. Please take appropriate safety measures when using Packnpost2u website. The entire website content, layout, design, texts, photos, information, arrangement, know-how, methodologies, processes and underlying source code and software shall remain Packnpost2u property and are protected by copyright laws and intellectual property laws in Malaysia. You may not copy for amendment, modification and reproduction from any or all of the pages of Packnpost2u website. “Packnpost2u” is a registered trademark. Your permission of using our website does not grant you a license to use the Packnpost2u trademark. You may not copy, reproduce, modify, use or distribute in any way (except as part of a copy of any web pages or screens for personal use only) without our written consent. Your use of other websites and its content are at your own risk. Packnpost2u is not responsible for any content or accuracy of information obtained from any third party website which may be accessed from or linked to Packnpost2u website. Your use of the Packnpost2u website and its content are at your own risk, they are provided on a “as is” basis. Packnpost2u is not liable for any inability to access or interruptions during the access to your account or when conducting transactions due to unavailable networks, unreliable internet service providers, malfunctioning equipment, incompatible software, or other causes beyond Packnpost2u control. Email notices and information on the website will be the primary methods we communicate with members. We will send notices and any other relevant information to you through website and email address you provide us. You may also contact us by sending email to [email protected] for any enquiry. The Shipping Calculator provides an estimate for shipping cost only. The estimated shipping cost may not include any duties, taxes, custom charges, applicable fees or surcharges. The actual shipping cost may vary from the estimate due to changes in shipper or courier company rates; changes in fuel surcharge imposed by the shipper or courier company; changes in currency exchange rates; differences between the given weights and the actual shipment weights; differences between the given dimensions and the actual shipment dimensions; and discrepancies between the given information and actual product classification or value. For order you placed with an online merchant, either through links on Packnpost2u website or directly from the merchant’s website, you will pay the merchant directly for the product and its domestic shipping cost (if applicable), for delivery to your Packnpost2u China address. Packnpost2u provides links that you may assess from Packnpost2u website to direct you to merchants’ websites for shopping online, we provide services to enable you to manage parcel(s) of product(s) you purchased to be delivered to you to your destination country, however, Packnpost2u does not sell any product to you. You are solely responsible for selecting and ordering the products from the merchant, and your purchase of a product is a transaction solely between you and the merchant. Packnpost2u makes no representations, warranties or guarantees regarding the quality or suitability of the products you order through the merchant or seller. We are not responsible for any failure of a merchant or seller to deliver your product to Packnpost2u China address, or to fulfill your order, or for any defects in any product you purchase, or any damage that any product may cause, or for any other failure of the product to meet your expectations. We do not handle communications with merchants or sellers regarding product exchange or return. That is your responsibility. If after delivery to you, you determine that any product is defective or does not meet with your expectations, you agree that you will hold Packnpost2u harmless from any liability and will seek any remedies solely from the seller or merchant. You are responsible to ensure that the products you have ordered are correctly addressed to your Packnpost2u China address, including your name and exact suite number. The delivery address must be to the provided destination countries available at our website only, we do not ship to any other countries. After obtaining the information of your consignment note number and courier company name from your merchant or seller, you are advised to login to your membership account and provide us your consignment note number and courier company name at Declare Parcel. This is necessary to minimise the risk of any unidentified parcel or recipient. At the same time, you must declare all items in your parcel with accurate product description including product name, type, quantity and value. By receiving your declared information, you consent to authorise Packnpost2u to open your parcel and inspect your parcel contents. For compliance with the export and import laws, it is compulsory to provide an accurate description of the parcel contents and value of your parcel. We will request a copy of the merchant’s invoice of your purchased product(s) for verification if necessary. However, you are solely responsible for the accuracy of all information you provide to Packnpost2u regarding the contents of your parcel and its value. You agree to indemnify and hold Packnpost2u harmless from any liability, under declaration of the contents and value of your parcel or misrepresentation you might make. You acknowledge and agree that your shipment may be inspected at any time by export and import authorities. Shipment with misleading product descriptions or under-declared value on the parcel contents may be seized or confiscated by the relevant Customs authorities, who may dispute and correct the declaration, in such case, you might have to pay for penalty, surcharge on special handling and additional shipping costs. We will not accept parcels delivered on a Cash On Delivery (COD) basis. After receiving parcel delivered to your Packnpost2u China address, we will notify you by email when it is received and seek your instruction for shipping or storage of the parcel. Every items in the parcel must be declared before sending us shipping instruction through Place Order Request. You are the only person authorised to pay for and release the shipment, including releasing any parcels addressed to your friend or family member. Packnpost2u will not be liable for parcel lost or damaged in transit from the merchant to the Packnpost2u warehouse. We reserve the right to refuse parcel delivered to the Packnpost2u warehouse if, upon inspection of the outside of the parcel, it is obvious that the product is damaged or incomplete. In such a case, we will not accept the parcel delivered by the sender and will notify you. Packnpost2u has the right to open and inspect any parcel or part thereof, during storage or when preparing to consolidate your shipment, for security purposes, to verify compliance with export and import laws, and to confirm the product description and other information you supply, without prior notice and without liability to you. However, we have no duty or responsibility to inspect parcels for non-obvious damage or breakage, and we do not accept responsibility for the accuracy of product descriptions and other information provided by you. If we discover that the description of the contents of the parcel or other information you supply is not accurate, then, depending on the specific situation, we may request you to provide additional documentation about the contents and their value, or we may correct the information, or we may refuse to ship it. Occasionally we receive parcels where the appropriate recipient cannot be identified, e.g. the customer name and/or the suite number of the address may be missing or misstated. If you have ordered a product and there is an unusual delay in receiving notification email from Packnpost2u that your parcel has been delivered to Packnpost2u address, you should contact us and describe the product you are expecting, so that we can inspect unidentified parcels and see if yours has been received. Additional handling fees in identifying the recipient may apply if your parcel was incorrectly stated or inadequately addressed. Any parcels received at our warehouse for which the recipient cannot be determined will be held for 30 days for reasonable action and investigation. If they remain unclaimed after 30 days, Packnpost2u has the right to dispose them in any manner permitted under applicable law. You agree to comply with all applicable laws and regulations in effect in the origin country and the destination country. You warrant that you will not use or attempt to use Packnpost2u to receive or deliver any illegal items, dangerous materials, prohibited goods, or controlled substances. Packnpost2u will not accept to deliver the parcel if we found any items in the list of Prohibited Items; any goods classified as hazardous material, dangerous goods, or articles prohibited or restricted by IATA (International Air Transport Association), ICAO (International Civil Aviation Organization), export control laws and regulations, import or customs regulations, or any of the laws or regulations of any applicable government department or other relevant organization; or if we decide that we cannot safely or legally transport the item. Packnpost2u will hold all product items that are restricted or prohibited for export or import to the destination country. Additionally, any product items deemed unsafe for international transportation will be prohibited for shipment and placed on hold. Please refer to our Prohibited items for items will not be accepted by Packnpost2u to ship. We will notify you by email if any of your parcel being placed on hold. You have 14 days to advise on disposal of your hold parcel. If no response from you after 14 days, Packnpost2u has the right to destroy the parcel or product. A disposal fee may be charged to your account for parcel weighs 50kg or more. For multi-parcel consignment, where a consignment includes more than one parcel, the weight will be determined based on total weight of all parcels per consignment. For illegal items, Packnpost2u will submit such items and relevant information to the government authorities responsible for export compliance for further investigation. You shall entitled to a 30 days free storage period under Standard Membership. We will store your parcels free of charge during the free storage period. A reminder will be sent to you 14 days before your free storage period expires. Upon expiring of your free storage period, a storage fee will be applied to your account, which will be payable by you at the time after submitting your place order request. We will store your parcels for a maximum period of 180 days. A reminder will be sent to your email before the maximum period expires. If we do not received your place order request by the end of the maximum period, your parcels will be deemed abandoned, and we may dispose it in any manner permitted by law. Should you determine that you no longer wish to ship items stored at our warehouse, for whatever reason, you may request for disposal. You may request for disposal of your parcel if you no longer wish to ship your item. Upon confirmation of disposal, you agree to authorise Packnpost2u to dispose of your parcel. This action is not reversible. A disposal fee will be charged to your account for parcel weighs 50kg or more. For multi-parcel consignment, where a consignment includes more than one parcel, the weight will be determined based on total weight of all parcels per consignment. We will not proceed your Place Order Request if you do not accept the Terms and Conditions in this Membership Agreement; or if you do not supply complete information of all items description in your parcel; or if it includes any sensitive items with conditions not met; or if it includes any prohibited items; or if payment was not made by you. Upon receiving your place order request, our warehouse team will review your order, check parcel contents, repack parcels into a single shipment and record its actual weight. We will notify you by email once the consolidation is complete. You may login to your account to review its chargeable weight, total shipping costs and proceed to payment. Any shipment or consolidated order with weight more than 68kgs is overweight, with dimensions more than 120cm x 80cm x 80cm is oversized. Special enquiry is required in handling overweight or oversized order. Surcharge is applicable. The final shipping costs will be determined after consolidated your parcels into a single shipment. You are responsible for payment of all shipping costs and applicable fees (if any), even if they differ from the original estimated cost. For shipment seized or confiscated by the relevant Customs authorities, surcharge on special handling will be incurred to sensitive item wrongly declared as normal item, and you will be liable to pay for additional shipping costs again. Surcharge is applicable for overweight or oversized order or shipment. Surcharge is applicable to sensitive item wrongly declared as normal item. Surcharge is applicable to shipment with misleading product descriptions or under-declared value on the parcel contents being seized or confiscated by the relevant Customs authorities. For priority service, surcharge is applicable to normal product come with batteries and magnets. However, priority service is not available for pure batteries under sensitive items. International shipments are subject to duties and taxes as determined by Customs in the destination country. Gift purchased online sent to another will not be imposed by import tax if the value is below stated local thresholds. You will be responsible to pay all duties and taxes, custom charges, as well as GST applicable to your shipment. After submission of your Place Order Request, you may cancel order. This service is free of charge only if the number of time of the order cancellation does not exceed the limit set out under your class of membership, where a Standard Membership entitles for 1 time free order cancellation per month. Fee applicable to account exceeds the limit. Once consolidation completes, a notification email will be sent to your email address. You may proceed your payment at our payment gateway. Payment must be made within 14 calendar days from the date of the email. Failing which, the order request will be automatically cancelled. Subsequently, this might incur cancellation fee and storage fee. A notification email will be sent to you once your shipment has been released. You may use your invoice number to track your shipment. You agree to appoint Packnpost2u to act as your agent to manage delivery of your shipment based on the information you provide. Packnpost2u will not be responsible or liable for any penalties imposed if the information you provide to us is incorrect or inaccurate. Packnpost2u will only accept shipments to a valid street address, we do not deliver to any P.O. Box addresses. We will make every reasonable effort to deliver the shipment to you according to the shipper or courier company’s regular schedules, but these are not guaranteed and do not form part of the agreement between us. Packnpost2u is not liable for any loss or damage caused by delivery company’s delay. Delivery time given was an estimated delivery time and is not a guaranteed delivery time. The delivery time was calculated based on total amount of time required to process an order, which includes, packaging, transit time to delivery service provider, and transit time to the delivery address. We will make every effort to deliver within the given estimated delivery time. However, please expect delay during peak season, eg. festival seasons. You will not use or attempt to use Packnpost2u to receive or send any items that are specially designed, modified, adapted or configured for a military application; or any dual use items that are subject to export license requirements; or any products that are intended to be used in chemical biological weapons, missile technology or nuclear proliferation. Packnpost2u is not liable for any loss or damage to your shipment arising out of circumstances beyond our control. These include but are not limited to natural disasters (for example, fire, earthquake, hurricane, tsunami, tornado, storm, flood, fog); plane crash or embargo; war, riot, civil commotion or industrial action; epidemics or pandemics; power cuts, communications or other utility disruptions; governmental action or inaction; any defect to the nature of a shipment; and damage or erasure to electronic or photographic images, data or recordings due to electrical or magnetic interference. We do not handle any return nor exchange. After the shipment delivered to you, if you wish to return an item to the merchant from which you purchased it, you will need to make direct arrangements with the merchant as soon as possible for any return, refund, or exchange of items in accordance with the merchant’s terms and policies. Packnpost2u will not be liable to you for any loss or damage of any kind, including but not limited to loss of business, loss of profit, loss of opportunity, loss of goodwill or loss of data, arising from your use of or inability to use your Packnpost2u membership account or Packnpost2u website, even if you have advised us on the possibilities of such damages. For documents and fragile items, you are solely responsible for the loss or damage to the shipment. You must declare if your parcel includes any document or fragile item. We will not remove its external packaging. You are responsible to make sure the packaging is sufficient to protect your items with the Sender or Merchant, especially for fragile items. However, you may request for our service to add extra protection to your shipment to reduce your risk at an additional cost. For other loss or damage to the shipment with respect to any errors in Packnpost2u services provided to you under this agreement, after investigation, compensation for the proven lost or damaged shipment may be claimed up to the total amount of declared value, wholly or partially (based on the proven damaged part), or up to a maximum liability limited to RM300 per shipment or its equivalent in foreign currency, whichever is the lower. Any claim for loss or damage must be made in writing to Packnpost2u within 14 days from the date of the shipment was delivered to you, failing which, we will not be liable for any loss or damage in any way. Claim must be made through email, accompanied by scanned copies of the original air waybill and all supporting documents, photographs of damaged item, and relevant original invoices and receipts for that item. Packnpost2u will not entertain any claim you fail to provide all relevant evidence to your claim. Customer satisfaction is our number one priority. You may file your complaint to us at [email protected], if any. We will review and take necessary action to improve our service. You may terminate this agreement and your use of your Packnpost2u account at any time. As noted elsewhere in these terms and conditions, we may suspend or terminate your account if you fail to comply with these terms and conditions, and in the event of such suspension or termination we will incur no liability to you. You agree to indemnify, defend and hold Packnpost2u and its shareholders, officers, directors, affiliated companies, employees and agents harmless from all claims, losses, damages, liabilities and costs (including reasonable legal fees) incurred which result from your use of the Packnpost2u website and Packnpost2u services, including but not limited to your negligent act or omission, any misrepresentations you make in connection with obtaining Packnpost2u services, any incorrect declaration of contents or value of shipment for export purposes, and/or your failure to comply with these terms and conditions. We may modify these terms and conditions in the Membership Agreement at any time without any notice. Your continued use of your Packnpost2u membership account after the introduction of such modifications will represent your acceptance of the modified terms and conditions. These terms and conditions constitute the entire agreement between us for the use of the Packnpost2u website, your use of your account, and the provision of Packnpost2u services. These terms and conditions supersede all other written or oral statements. If any provision of this agreement is judged by a court or body having jurisdiction as illegal, invalid or unenforceable, such provision will be deemed deleted without affecting any other provisions. any other information may be obtained through any agreement, enquiry, request, transactions, communications and dealings made by you. Please note that personal data requested by us are compulsory for you to provide and you consent to our use, process and disclosure. Failing which, we may not be able to provide you any Packnpost2u services. to enhance security measures in our premises. any actual potential merger or acquirer of Packnpost2u. We have developed and implemented security policy to safeguard your personal data from unauthorised access, unauthorised modification or improper use or disclosure. All our employees and data users involved in the processing of your personal data are obliged to respect the confidentiality of your personal data. We will store your personal data as long as you are a valid registered member with Packnpost2u and thereafter for a period as stipulated in the Membership Agreement. You are responsible to provide us an accurate, complete and up-to-date personal data of yourself and other persons (your family or your friends, if any). You affirm that you have the authority and consent from such other persons to submit their personal data to us. You have the right to access to your personal data for correction or update. You may ask us to correct personal data you think is inaccurate if you fail to access to your personal data due to technical issue. You may request a copy of the information that we hold about you. If you would like to have this information, please contact us. We may charge you for a fee for processing your request in getting a copy of your personal data. You may request to remove all your personal data from our database by writing to us to the contact details set out below. Please note that, should you do so, we may no longer be able to provide you with any Packnpost2u services or information pertaining to the services. Packnpost2u will not accept to ship items prohibited by law and regulations of any federal, state and local governments of any countries. Categories of prohibited items are listed below. Sensitive items are goods that are prohibited in the origin or destination countries except under a specific license or permit from relevant authorities. A special handling fee will be charged for sensitive items. Categories of sensitive items are listed as below. The list above served as a guide and do not include all prohibited and sensitive items of every country. It is ultimately your responsibility to check in advance if your goods are permitted to be shipped or not before delivering them to our warehouse. Please contact us should you have any questions on prohibited and sensitived items. For export and import customs clearance purposes, you must declare all items in a consolidated shipment with detailed information. You must also declare accurate value of an item even if it was provided at no charge (eg. sample or not for resale item). Inaccurate or false declaration may result in seizure and penalty by Customs and subsequently may delay your shipment delivery and incur additional shipping costs. To avoid all these, please be cautious in declaring your items accurately, for example, not to wrongly declare a prohibited or sensitive item as a normal item for shipping. For international shipments, shipping costs are calculated based on actual weight or dimensional weight, whichever is higher for the chargeable weight. For documents and fragile items, you are solely responsible for any loss or damage of the shipment. For fragile items, we will not remove its external packaging. You are responsible to make sure the packaging is sufficient to protect your fragile items with the Merchant. However, you may request to add extra protection on the external packaging. Sensitive Items are goods that are prohibited in the origin or destination countries except under a specific license or permit from relevant authorities. For export and import customs clearance purposes, you must declare all items in a consolidated shipment. Do declare fragile items and accurate value of all items, even if it was provided at no charge (eg. sample or not for resale item). Items listed below will only be accepted by Packnpost2u to ship provided always that all items in every parcel you chose to consolidate into a single shipment have been declared with detailed information when submitting your place order request. A special handling fee will be charged for sensitive items. Please contact us should you have any questions or concerns on sensitive items. The list is served as a guideline and does not include all sensitive items of every country. It is ultimately your responsibility to know if your goods are okay to ship. Cost-effective delivery service by local courier company. Delivery service by reliable multinational courier company. For less urgent delivery. Delivery service by reliable multinational courier company. Delivery within the shortest possible time. Every new member registered with Packnpost2u will be granted a Standard Membership account. Free 1 time order cancellation per month. This service is free of charge within free storage period based on the class of membership account you hold. Storage fee of RM1.00 per parcel per day will be incurred to items exceed free storage period. In order to reduce risk for damage on the items, especially fragile items. To combine one to maximum of ten parcels into a single shipment. This service is free of charge. Shipping cost varies based on delivery destination, types of shipment (normal or sensitive items), types of delivery (economy, express or priority) and chargeable weight of the shipment. Chargeable weight is determined based on actual weight or dimensional weight, whichever is higher. Should your shipment with weight more than 68kg or with dimensions more than 120cm x 80cm x 80cm, surcharge on overweight or oversized shipment will be incurred. An estimated shipping cost could be calculated using shipping calculator. The final shipping costs could only be determined after receiving your place order request, which may include any additional costs or applicable fees such as storage fee, special repack service fee, surcharge on special handling and order cancellation fee, if any. After submission of your Place Order Request, you may cancel order. This service is free of charge only if the number of time of the order cancellation does not exceed the limit set out under your class of memberhip. Cancellation fee of RM10.00 per cancellation will be incurred to account exceeds the limit. Disposal of parcel is free of charge only if the parcel weighs below 50 kg. Disposal fee of RM50.00 per parcel/per consignment will be incurred to parcel weighs 50kg or more. For multi-parcel consignment, where a consignment includes more than one parcel, the weight will be determined based on the total weight of all parcels per consignment. Surcharge of RM20.00 per shipment will be incurred to sensitive item wrongly declared as normal item. Compensation for the proven lost or damaged shipment up to the total amount of declared value wholly or partially (based on the proven damaged part), or up to a maximum liability limited to RM300.00 per shipment, whichever is the lower. Claim must be made within 14 days from the date of the shipment was delivered to you. Packnpost2u will not entertain any claim you fail to provide all relevant evidence to your claim. Successful claim will be payable to your Packnpost2u membership account only, no cash will be refunded. For more details, please refer to Membership Agreement. Storage RM1.00 per parcel per day to items exceed free storage period. Check Parcel Content Free of charge. Remove external packaging Free of charge. Add extra protection RM30.00 per service. Shipping Refer to Shipping Calculator to check shipping fee, that varies based on delivery destination, types of shipment, types of delivery and chargeable weight. Order Cancellation RM10.00 per cancellation to account exceeds the limit. Disposal RM50.00 per parcel/per consignment to parcel weighs 50kg or more. Surcharge On Special Handling RM20.00 per shipment to sensitive item wrongly declared as normal item. Compensation Claim Compensation is up to the total amount of declared value wholly or partially (based on the proven damaged part of the shipment), or up to a maximum liability limited to RM300.00 per shipment, whichever is the lower. Fill in "My China address" as your delivery address when you shop in China stores. Declare your parcel anytime after you made your purchases. Important: If you purchased 5 different items delivered in a same parcel, you must declare all 5 items. Parcel received not declared will be updated to Warehouse Found Item at Declare Parcel page. Please declare all items to proceed. After declaration, please wait for email notification. Once your parcel is delivered to our warehouse, we will notify you by email. After receiving all parcels, place order to release shipment. Step 4: Click Submit Order. 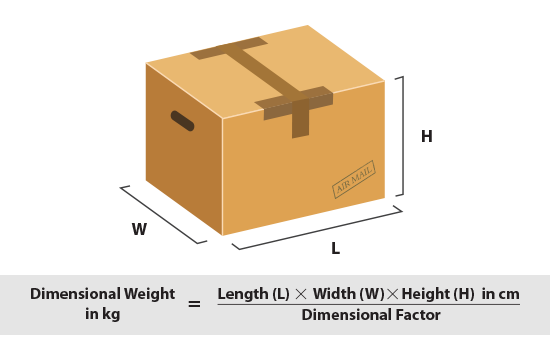 Note: Any shipment with weight more than 68kg is overweight, with dimensions more than 120cm x 80cm x 80cm is oversized. Special enquiry is required in handling overweight or oversized shipment. Surcharge is applicable. We review your order and consolidate into single shipment. We will notify you by email after actual weight recorded. You have 14 days to make payment after consolidation completes. Failing which, your order will be cancelled and reversed. This might incur cancellation fee and/or storage fees. For payment, follow these steps. We will notify you email once your shipment has been released. You may goto Shipment History to track your shipment status. Surcharge is applicable on this order. Surcharge is applicable to any oversized or overweight shipment; or to any special service requested by member; or to any normal items which contain batteries and magnets shipping with priority service. Actual Weight is the weight of the shipment measured after consolidation to calculate Shipping Fee. This is irrelevant if the Dimensional Weight is higher than Actual Weight. Also known as Volumetric Weight. If the Dimensional Weight is higher, it will be determined as the Chargeable Weight, to be used to calculate the Shipping Fee. This order is either overweight, oversized or contains batteries or magnets. Surcharge is applicable. Shipment with weight more than 68kg is overweight, with dimensions more than 120cm x 80cm x 80cm is oversized. This weight is only an estimate and will not be used to determine the Chargeable Weight.